Facebook has introduced a new feature, called On This Day. As its name implies, it’s all about giving you reminders of stuff you’ve shared on Facebook on that particular date in the past. 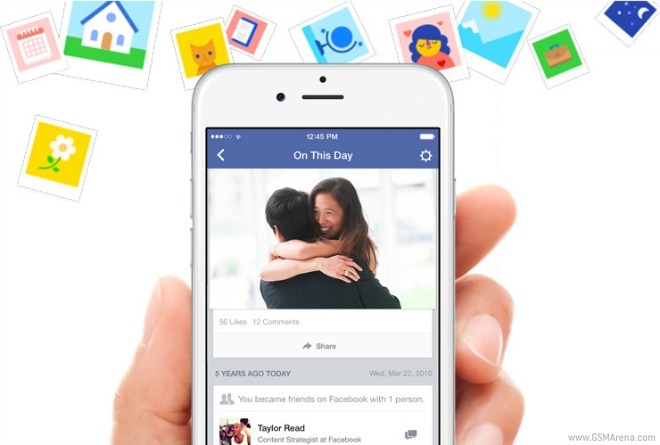 On This Day is supposed to make it easier for people to look back at old photos and memories they’ve added to the social network. On This Day works both with the content you posted, as well as things you’re tagged in. Only you can see your On This Day page, but you can choose to share the stuff in there with your friends. The feature surfaces status updates, photos, and posts from friends (in which you are tagged) – from one year ago, two years ago, and so on. To see the new page, either click on the On This Day card if you see it in your News Feed, or search for “on this day” on Facebook. Alternatively, you can just head on over to facebook.com/onthisday. Once you’ve arrived on your page, you can subscribe to notifications, as well as edit and delete old posts. The new feature is rolling out globally, on both the Web and mobile.